Our tasting room is always open Saturdays and Sundays 10:30am-6pm and Wed, Thur & Fri 12:00pm-5:00pm. and you can check out additional special events after hours including yoga in the Vineyard, local cheese or chocolate pairings, wine painting nights, olive oil tastings, wine education and more. 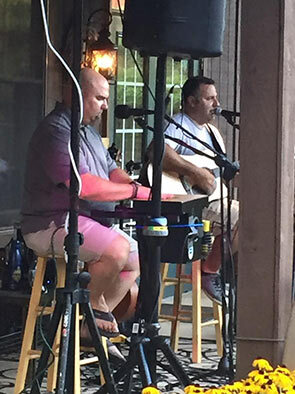 On the first and second Saturday evenings of the warmer months, enjoy outside acoustic tunes from local artists as you sip wine and enjoy the beauty of the vineyard. If you like to sip and paint, we have the event for you to create your very own sign! If you can sip, trace and hold a paint brush, you can do it ! There will be a variety of "crabby" and Maryland themed signs as well as Wine Lover signs. $25 price includes a 7"x 14" piece of wood, painting supplies, instruction and a wine tasting. Additional wine may be purchased by the glass or bottle. Come on out and enjoy some wine, a few laughs all while painting with friends! The evening begins with a sweet hour long yoga session with Bethany among the vines of the beautiful Serpent Ridge Vineyard, located in Carroll County, MD. Following yoga, enjoy a sample flight of the vinyards finest wines along with a delicious spread of lite fare and food. From there on out, kick back and chill with your favorite bottle and friends. Included in the price of your ticket is yoga, sample wine flight, and as much food as you wish to enjoy. Additional glasses / bottles of wine can be purchased if you'd like. Don't miss our first live music event from a fabulous repeat perfomer, Mark Jacob! Pack a picnic, an extra lawn chair, grab your friends and carpool together to the vineyard for some fine wine and acoustic tunes. We are so excited the summer season is upon us! 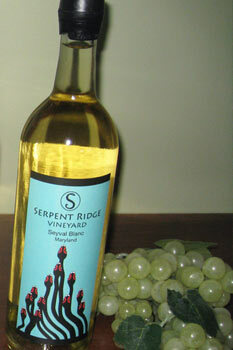 Wine tasting is the normal $8, and wine by the glass or bottle availble for sale. By law, no other outside alcohol permitted. Hope to see you then! Join Bethany Britton Yoga and Serpent Ridge Vineyard for our 3rd summer in the vines for an evening of yoga, wine, and friends. Open every Sat & Sun 10:30am-6pm. Open Wed, Thur & Fri 12:00pm-5:00pm. Come in and visit to see some of our new décor, wine gifts, and snack offerings such as local cheese, mustards, sausages, olives, crackers and chocolates. You are always welcome to bring your own snack or picnic as well! As, always you can make a special appointment to visit by calling 410.848.6511. Sign up for our email list for the latest information. If in fact mother nature does not play along, we may not all fit in the tasting room. Therefore, we are scheduling rain dates for the Sundays following these events. If we do have to reschedule and the rain date does not work with your schedule, I will gladly refund your money. Keep your fingers and toes crossed for clear skies and no rain.